On April 26th, the International Game Developers Association will present “THINKING OUTSIDE THE (x)BOX (or “HOW I LEARNED TO STOP WORRYING AND LOVE BEES”) at 7:00 PM at the Metreon’s Action Theater in San Francisco (101 4th Street @ Mission). 4orty2wo’s Alternate Reality Game became a phenomenon last year, sending thousands of players running to payphones around the world. The innovative Halo 2 prequel involving a seemingly innocent website of a Napa Valley beekeeper and a shipwrecked AI from the future received a Game Developers Choice Award for Innovation, was featured at GDC’s Experimental Gameplay Workshop, and became the latest and most successful example of the nascent Alternate Reality Games (ARG) genre. But what place do ARGs have in the world (and future) of video games? What is their relation to one another? Are there lessons to be learned from ARG production that can impact the way video games are made? 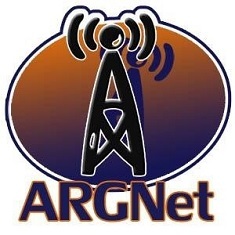 Join Jordan Weisman, Sean Stewart, and Jim Stewartson of 4orty2wo Entertainment as they examine I Love Bees to discuss the strengths and weaknesses of ARGs, their intersection with traditional video games, and the future of this exciting new form of digital play.